Revelling in rebellion while bringing masturbation, disabled messiah’s, cross-dressing children and violence into perhaps the one place they all belong-the top 40, Getintothis’ Neal McGrath swoops through The Who’s ten best tracks. The Who are undoubtedly one of the finest bands to come out of Britain and have a valid claim to be the greatest rock band of all time, with perhaps only Led Zeppelin truly vying for superiority. Bursting out of 1965 with I Can’t Explain’s pop brilliance, they commandeered the burgeoning Mod movement for their own devices, guitarist/songwriter Pete Townshend writing classic songs of teen angst for the disaffected youth of the baby-boomer years. Towards the end of the decade rock had moved on and they were running out of ideas fast. They didn’t have the chops to compete with Hendrix and Cream, nor at this point the songwriting skills to match Lennon/McCartney. With the encouragement of co-manager Kit Lambert , they began to make the album that would make them millionaires, the 1969 rock opera, Tommy. A double concept album about a pinball playing deaf, dumb and blind boy it was a slow burner, but after touring it into the ground and an appearance in the Woodstock film, word spread far and wide about the groups phenomenal live show, playing the album in it’s entirety. Rock stardom beckoned, as did groupies, smashed hotel rooms and an unquestioned place in music history. Ahead of The Who’s headline slot at Glastonbury Festival this year, we take a look at ten of the rock legends greatest tracks. Yet another cast off from the doomed Lifehouse project, Water begins with a stop/start section ala Young Man Blues, making full use of Roger Daltrey‘s vocal chords before crunching into one of Townshend‘s best riffs and a descending bass run into the refrain. The song conjuring up images of hardships in an apocalyptic, desert world and band uses their dynamics and power to full effect. “To me it was the ultimate Who record, yet it didn’t sell. I spat on the British record buyer.” So said Pete Townshend regarding their 13th single, I Can See For Miles and you can see why he was so upset. Panoramic in scope, it’s the band’s finest foray into psychedelia, with massive, slashing guitars, layered harmonies and a huge chorus. And let us not forget a classic, anti-guitar hero one note solo. Another criminally ignored lost classic, hidden away on a b-sides and rarities compilation, Daltrey and Townshend swap verses on underlying dissatisfaction that permeates everything – even, it seems, life itself. Something of a lost gem , Lets See Action was one of the Lifehouse songs that never made Who’s Next. 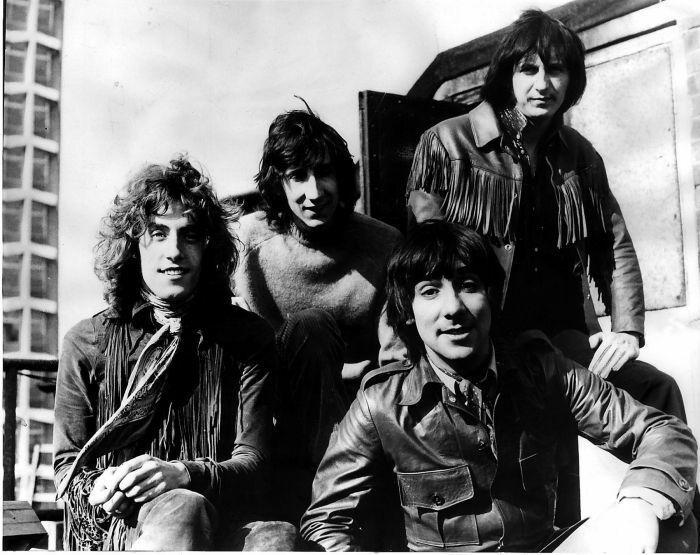 A mid paced rocker, Daltrey duels with his own voice in an anthemic show of strength by a band at their peak. The bands debut single, somewhat appropriating The Kinks‘ riff based rock of the time, it’s lyrics heavily resonated with the young Mods of its era. In a 20-year-old Pete Townshend, young, inarticulate, working class males had finally found a voice. A top 5 hit in the band’s Mod period, Substitute is one of their most enduring songs. Played at nearly every Who concert thereafter, it is typical of their 60’s output. Even though it’s largely acoustic it rocks far harder than the bands contemporaries with lyrics full of typical Townshend spite. A Mose Allison cover the band had been playing since their early days. By 1970 it was a tour de force, a standout from arguably the greatest live album of all time, a stop-start beginning before taking off like a jet plane twisting and turning, taking in squealing solo’s, jazz and heavy metal riffs. Possibly the single most perfect example of where the band got their “greatest live band of all time” tag. The cornerstone of Townshend’s failed Lifehouse project, the song became an anthem for the disaffected counter-culture after they found out that love wasn’t all you need. Not only does it rubbish any notion that the god-awful 80’s synth sound was due to technological limitations but it contains the best scream in rock. Fact. The ultimate teenage rebellion song, this is my generation and you don’t understand because you’re too old. In fact these young men would rather die than face the indignity of losing their hair and their faculties. The music is like thunder, the whole band plays a blinder. Drummer Keith Moon rails around his kit like a man possessed, Townshend unleashes the chiming chords and droning feedback, Daltrey amphetamine-stutters and intimidates his way through the song and bass player John Entwistle unleashes one of the finest bass solo’s known to man. Rarely has a song sounded so utterly huge, the swirling, burbling synthesisers, the trademark crashing power chords and singer Roger Daltrey’s full-throated roar. This is epic in the extreme, uplifting and powerful, contrasting beautifully with the breakdown (Don’t cry,don’t raise your eye…). Like all the best music it makes the listener feel as big as the sounds emanating from their stereo.